Kingdom Life provide a foodbank in Lisburn which is run by volunteers. They received funding from the Halifax Foundation to employ a Part Time Co-ordinator, which has allowed them to expand their work into satellite foodbanks in Moira and Dromore. 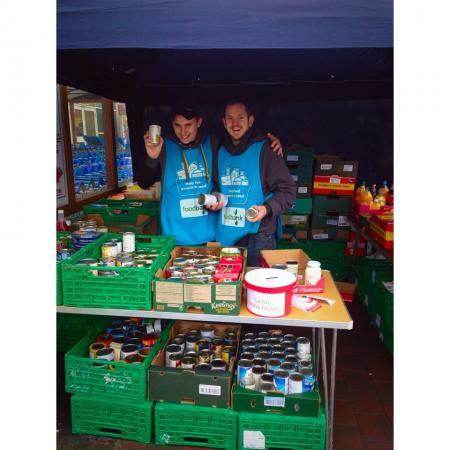 They also have been able to double their referral agencies to 28 and increase their food donors to 20 partnerships, which has allowed them to collect over 16 tonnes of food in the last 12 months. Over 2,000 people have been fed, each with their own individual story and life issues that have brought them to the foodbank. To help with this, they have trained a number of volunteers in listening skills through "The Acorn Listening Course". Because of this volunteers have been able to signpost clients to receive help with additional benefits, find suitable training courses, receive help with dependencies etc. Part of the success of the project has been in the area of personal development for volunteers. They have equipped volunteers through training in computer skills, admin, health and safety, PR and community relations. Another measure of success has been the opportunity to incorporate a number of people with learning disabilities, those returning to work after illness or extended periods of unemployment into their team of volunteers. Christmas 2014 they facilitated a "Benefit Uptake Day" and gave 180 Christmas Hampers to needy families in the Lisburn area. These were supplied to families who came via the suggestion of the front line care agencies they partner with. Also, a number of schools were finding that many children were coming to school without having had any breakfast. They now support 8 schools locally and assist them with cereal, juice etc for their "Breakfast Clubs".